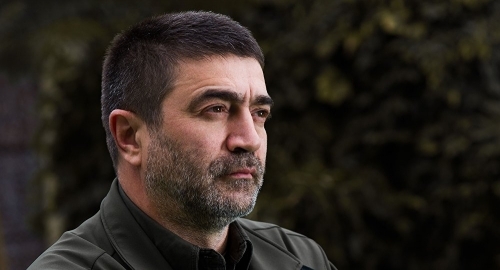 Born in 1961 in the ex-Soviet Republic of Moldova, Iurie Roșca is a politician, journalist, author, editor and translator. 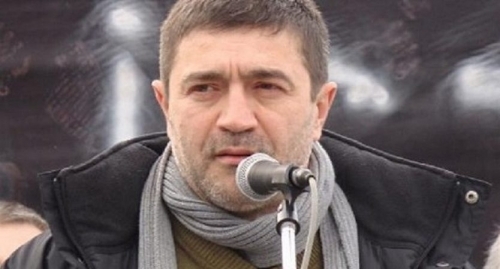 In the Soviet period he was involved in dissident networks and afterwards, during the Perestroika period, he was one of the prominent figures in the anti-Communist and national movement, being one of the leaders of Moldova’s first alternative political party and founder of the first newspapers. From 1988 until 1994 he was deputy chairman of the party. From 1994 until 2010 – chairman of the Christian-Democrat People’s Party. Between 1994 – 2009 he was a MP, including twice deputy chairman of Parliament; in 2009 – deputy PM. He is now the president of People’s University, which is a school of political leadership, an international think-tank and printing house. His political beliefs can be summed up as such: Orthodox, conservative, traditionalist. You used to be a very successful political leader since the last period of URSS. When was the Christian-Democratic People’s Party of Moldova founded? Could you please say a few words about the initial period? Oh, this is such a long story. Our political movement was founded in 1988, in Perestroika period, as an anticommunist, nationalist and pro-Independence party. It was a fantastic period, with indispensable idealism and romanticism at first. But anyhow, the disaggregation of the Soviet Empire does not happen twice and I am happy that I was totally engaged in this historic confrontation. We, as a former dominated nation, as a captured nation suffered not only political and economic pressures of communist regime. We had very harsh national, ethno-linguistic, cultural pressions, a very strong process of assimilation and Russification. That is why this historical moment was for us like a triumph of nations. In several years, we obtained the adoption of the Romanian language (also called the Moldovan language as a consequence of the Soviet occupation) as state language, the return to the Latin alphabet (the Russian alphabet was imposed to us during the communist period) and the country’s independence. It was a period of street protests, of samizdat, of new forms of media, of organization of political parties. Did your party, after such a long presence in national parliament, lose the elections in 2009? What kind of mistakes can you enumerate in your political strategy? If we keep in mind the fact that my party was the longest-running party in the ex-Soviet space as a parliamentary presence (five consecutive legislatures from 1990 to 2009), we could speak of a unique success, not a failure. 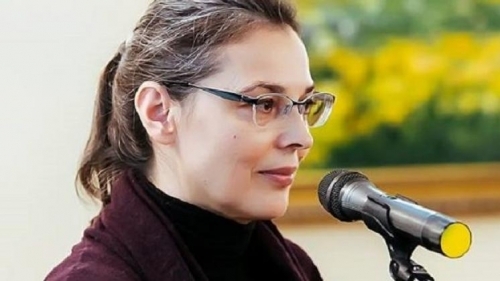 Remember, initially, in 1988, we were a Political Movement that supported Gorbachev’s Perestroika, in 1989 we became the Moldovan Popular Front (as it was in vogue throughout the Soviet Empire), then in 1999 we became Christian Democrats so as now to get to the endpoint of our ideological evolution – Conservatism. Moldova is ranked as one of poorest countries of Europe. Could you please outline a picture of the political and economic situation? After the USSR was dismantled, the Western craftsmen of the transition from the gloomy communist past to the bright liberal future ignored any difference and imposed a universal recipe for all ex-communist countries. the well-known concept of ”the West and the Rest” ,impregnated by classical eurocentrism, was seen by the winners of the Euro-Atlantic centers of power as a necessary way of acting. And since every nation in the world is left with only one way of development, the ex-communist countries have been invited to make a civilizational leap and to adapt its own societies to the standard model. It means to repeat the path traversed by the West through Modernity: mass democracy, market economy and human rights, plus secularism, open borders, and alignment with the only civilization on the upper stage – the West. Some twenty-five years ago nobody in both areas, East and West, had any other approach on this new geopolitical and historical reality. The East must be westernized, otherwise it cannot overcome its communist past, achieve prosperity and become a normal, developed society. The collapse of the communist system led to the creation of an intellectual vacuum in the respective societies. And this vacuum was immediately filled with the liberal paradigm, which seemed perfect, indisputable and axiomatic.The tragicomic situation that arose after the fall of the USSR can be characterized as such. After 50 years of the Cold War between East and West, the West defeated the East who capitulated. And for the first time in history, the defeated side received the conditions of capitulation in a state of happiness, and accepted as a gift the plan of geopolitical and economic colonization. Thus, Moldova also bought a ”one way ticket” for the train that led us to prosperity. Year after year we executed all the „precious indications” from Western power centers, such as the IMF, the World Bank, the State Department, the EU etc. We copied the institutions, the legislation, the economic model, etc. We have achieved total liberalization of prices, we have made mass privatization, we have opened the internal market for Western capitals, goods and services, we have equaled the foreign entrepreneur with the local one. We did everything in order to respond to all criterias suggested (or imposed) from abroad. But the promised state of general happiness still did not come. Could you please tell us which economical model dominates at present in Moldova? Moldova is not a productive, but a consumer economy. How does it work? Very simple. Moldovans work abroad, on the external labor markets to earn money which is spent in Moldova to buy goods produced abroad which have completely invaded our internal market. How can a local businessman compete with, say, a German or a Turkish one? Difference in production capacities, know-how, access to cheap credits, etc. dooms the local entrepreneur into a loser right from the start. Moldova has signed the ”free trade agreement” with the EU and with Turkey too – a well done operation in favor of our big brothers. It is worse for us, the local population whom these glass beads and illusions are sold to in exchange for natural resources and the key sectors of the national economy. I confess that I spent two decades of political activity and assiduous reading in four languages until I realized why things in my country are going from worse to worse. When I realized that the West had actually applied to the ex-communist space the same treatment that the Third World has long suffered, everything became extremely clear. When principle of ”kicking away the ladder” (Friedrich List) or ”comparative advantages” of “freetradism” (“laissez-fairisme”) has been fully applied, then Moldova’s chance of emerging from the crisis strictly following the imposed rules from the outside becomes illusory. By blindly following ”friedmanism” and the advices from the Chicago Boys, by assuming quasi-religious principles of the so-called ”Washington Consensus”, Moldova became a classical poor country as so many other countries around the world which were guided to go in the same direction. Your interpretation contradicts in radical way the official Western discours on economical issues of the post-communist area. Usually your countries are seen as failed states because of internal causes like corruption, luck of deep reforms, weak democratic insititutions and the absence of strong and independent justice. You want to say that this approach is false? Not necessarily, but obviously partial, tendencious and vicious. All of these factors exist. But they are the effect, not the causes of our problems. The major causes of Moldova’s disaster are other than the dominant neoliberal discourse presents it. The first is the excessive obedience of the ruling class to external power centers. The „development partners” that lend to the Republic of Moldova an enormous amount of money does not represent charity foundations, but tools of global plutocracy, which seeks to achieve astronomical gains. External financing in exchange for free trade, adjustment of domestic legislation to the detriment of local business and in the interest of global corporatocracy, the tailoring of monetary, customs, fiscal, budgetary and social policies have substantially reduced the state’s ability to promote independent economic policies. The truth is that it is precisely the forced dressing of the Republic of Moldova in that suffocating “golden straight jacket” (Thomas Friedman) that strangles any chance of economic recovery in the country. 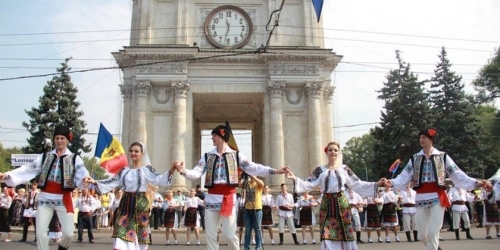 Moldova, like so many other countries, subjected to „structural reforms” and neo-liberal adjustments predicated on „market fundamentalism”, has yielded for a long time its sovereign right to manage its own economy. Under these circumstances, the succession in governing of various parties and coalitions, whether they are totally corrupt or relatively decent, cannot lead to radical positive changes. What is your stance regarding NATO versus the neutrality which is established by your Constitution and what is your perception of the the Russian Federation? Moldova must not to aspire to become a member of NATO or a Russian-centered military and security group of states, but an independent, neutral, and correct international player. This idea can become part of our national strategy or, if you like, part of our dream. Because a nation which does not have its own major dream is condemned to be just a consumer of foreign ideas and concepts, and, last but not least, the object of foreign interests which do not necessarily coincide with our own. Neutrality must be a key element of foreign policy. One of the main targets of Moldova has to be to affirm its vocation as a neutral country at an international level, in accordance with our Consitution. It means not only to avoid the involvement in the major geopolitical conflicts of big international actors such as Russia and the USA. Moldova could and should initiate or reinitiate the movement of non-aligned countries in the new geopolitical context by inviting different countries which share the same approach to participate in this process. We have to return to the experience of the Bandung Conference (April 18–24, 1955, Indonesia), to develop and adapt these principles to new historical conditions in order to be strong enough in the dialogue with great powers. Without this kind of international solidarity, without our original and wise contribution to a new international architecture, countries like Moldova have very thin chances of becoming relevant and respected international actors. This idea was suggested to me by French thinker Hervé Juvin in our personal discussions and through his books and articles. At what point is the negotiation between Moldova and Transnistria? What is your stance about the mentioned conflict that can be named „frozen”. How present is the Russian factor or the ”Russian threat” this region? Of course, the key of the Transisntrian conflict is in Moscow. Yes, Moldova is aspiring to obtain the withdrawal of Russian military troops from Transnistria. Their presence affects our territorial integrity and creates a lot of economic, social and administrative problems. But if we are responsible people, we have to see the whole picture of the region. By this I mean the global and implicitly the regional balance of forces. Several years ago I asked one Russian diplomat, former ambassador in our country whose name is not appropriate mentioning here (being a private discussion), ”When will Russia withdraw its military presence from Moldova”? The answer was quick, direct and sincere. „Mr. Roșca, look at the map. Americans are in Romania. We are constrained by the strategic circumstances to remain in Moldova”. In this situation Moldova has to think deeply on how to turn a geopolitical disadvantage into an advantage. Surely not through aggressive anti-Russian rhetoric, nor by assuming the role suggested by Americans to become a NATO ally against Russia. The Republic of Moldova is a neutral country. It ought not admit the role of the ally of the Russians against the Americans, nor the ally of the Americans against the Russians. Moldova must overcome its dishonorable role as an object of international relations and become an independent, fair and predictable subject of international affairs. It’s not an easy task. But if Moldovan political leaders will not have the clairvoyance, the courage and the diplomatic tact to follow this path, the posture of our country as the vassal of the great powers or the exchange currency between them is inevitable. Moldova seems set to become an attractive destination for the investors coming from the Arabic Countries. Which are opportunities and threats originated by the likely inflow of direct investments? Yes, it is the biggest catastrophe for our country. After the government in 2009 came to power, the contacts with wealthy Arab countries form the Arabic peninsula which is rich in petro-dollars became the first priority. The delegations of our government are often travelling to the region (namely to Qatar, United Arabic Emirates, Saudi Arabia) and vice versa. It seems that the Arab sheikshave managed to corrupt the clique of mobsters that have been leading Moldova in the last few years. The dirtiest business set up by the influential Gulf leaders and the local mafia in Moldova can be seen in a series of laws and government decisions by which five thousand foreign or stateless citizens plus their families are to receive Moldovan citizenship in return for an investment. The money would be transferred either to a government development fund (100 000 euros) or to private business (250 000 euros). The domains listed for private investments in the official acts are real estate and the development of the public financial sector and public investment by procuring and maintaining state securities. The investment in both these sectors have to be maintained for no less than 60 months. It means five years. So, to conclude, some of the richest people on the planet from the Persian Gulf will maintain this kind of engagement only for five years and after that they are free to sell all goods that they buy for pennies for infinitely higher amounts. Good business with the Banana Republic of Moldova! Now the most interesting detail of this dirty business. In accordance with our law, local and foreign investors have the same rights to invest in our economy. With only one fundamental exception – agricultural lands which can be sold only between Moldovans. So, our rulers are ready to sell the most precious national resource – our lands. More than that. This kind of new comers will be able to participate in our political process, to build parties, to buy media resources etc. Simply speaking, if in the case of Western Europe Muslim invasion is organized through millions of poor Arabs, in the case of Moldova, the Muslim invasion will be carried out through the Arab sheikhs, the billionaires from Gulf. There will be the construction of mosques in the country of 95 percent of Orthodox Christians, interreligious conflicts and permanent political instability. A deadly blow is expected on our economy, but also on our tradition and culture. That is why we can state without any exaggerations that our government is a traitor of the national interests. What is your opinion about the political situation within the EU? I sincerely hope that the European Union in the current formula is ready to die. Some people hope that it is possible to reform this bureaucratic, plutocratic, antinational and anti-European entity. I don’t. I am expecting the repetition of the Soviet story, the total collapse and the reorganization of the political landscape at the continental level. This model will be based on national states, peaceful cooperation between the European countries, and overcoming the dividing lines between Europe and Russia. The new wave of populist, sovereignist, identitarian movements becomes stronger with each electoral campaign in many countries. As I said before, I saw the fall of the USSR, I hope to see the fall of the EU. Quand on voit comment le gouvernement aujourd’hui se prosterne devant les «partenaires stratégiques» – la Trinité du Mal (FMI, Banque Mondiale et l’Union européenne) – et se met à genoux devant les investisseurs étrangers, comment ne pas faire un parallèle plus que nécessaire avec l'époque soviétique ? La différence entre les deux types d’envahisseurs est minime. Elle tient seulement de moyens, pas de buts. Si les occupants soviétiques avaient utilisé la force des armes, ceux d’aujourd’hui utilisent les armes de logiciel, économiques et financières, les uns et les autres ayant le même objectif : l’asservissement de la population locale et le pillage de ses richesses nationales. Il est vrai que les impérialistes économiques d’aujourd’hui mettent en œuvre et l’ingénierie sociale, visant à anesthésier le pouvoir de discernement des peuples conquis. C’est pourquoi, l’identification de l’agresseur était beaucoup plus facile lors de l’invasion soviétique : la présence des chars, des troupes militaires, des corps de répression, la nationalisation, les déportations, les massacres étaient si évidents que tout le monde comprenait que c’étaient des occupants. Mais le nouveau type de colonialisme a cependant une propriété qu’il faut la retenir. Avant d’envahir un territoire, il entreprend un bombardement médiatique (remplaçant le bombardement de l’avion d’autrefois), une attaque d’artillerie (mais pas une classique, comme il était une fois), manifestée par la colonisation de la conscience collective à l’aide de la culture de masse, l’induction de l’état fascinant pour le « rêve américain » et l’attractivité de la société de consommation. Et quand les aborigènes sont suffisamment traités psychologiquement, jusqu’à la perte de la conscience de soi (une nouvelle sorte de mankurtisation) et à l’instinct de conservation, cela compte moins qui est au pouvoir. Parce que n’importe quel gouvernement applaudit à scène ouverte les « sauveurs » descendus « sur le terrain » comme des loups en peau de mouton. Encore une fois, si nous éprouvons un véritable mépris pour les collaborateurs du régime soviétique, pourquoi nous apprécions les nouveaux collaborationnistes du régime d’occupation en « style occidental », portant la même étoile à cinq branches sur le drapeau, seulement celui communiste était rouge, et celui d’aujourd’hui est bleu ? Il n’y a qu’une réponse. Par ignorance ou, en parlant délicatement, par erreur de perspective. Car alors le torrent d’origine étrangère venait de l’Est et il était violent, et maintenant un autre tsunami vient de l’Ouest, qui est doux comme le miel, mais qui tue comme le poison. Celui qui a des yeux pour voir, verra. Et qui non, il sera dans une situation comme dans le vieil adage roumain : on montre à l’imbécile la lune, et il regarde le doigt. Paraphrasing the famous quote of Marx, we can state without any exaggeration: ”A specter is haunting Europe – the specter of populism”. After a series of promising signs for the European populists or nationalists such as Brexit, the election of Trump, the results of the latest parliamentary elections in Austria, Hungary, Italy, the political solidarity of the Visegrád Group countries, the constant disagreements between Poland and the bureaucracy of Brussels etc., the international press is giving hopeful news once again. 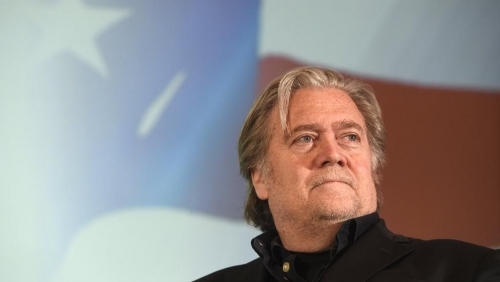 Steve Bannon, ex Chief Strategist of the American president and the mind behind the Trump victory, has announced the creation of a new foundation in Europe, which will be called The Movement. This organization has the ambition of being an alternative to the ”Soros network”, known as The Open Society Foundation, the one that has had and still has a major impact on the politics of our continent – in the ex-communist countries, Western Europe and the United States. And if the anti-system political events of recent years have shaken the dominant elite for the first time since World War Two, the phenomenon rightly called the ”European spring” or the ”populist revolution of Europe” has a great chance of growing even more due to Steve Bannon’s initiative. The ambition of this American thought leader is to unite all European identitarian and pro-sovereignty parties in a common front against globalism, which is neoliberal and antinational and gravely affects not only the interests of smaller countries, but those of the US as well. In his book „The populist Moment. Right-left: it’s over”, the French philosopher Alain de Benoist brilliantly synthesizes the new mindset of European peoples. The new coalition government in Italy that has united the populist groups, „Lega Nord”, the party of Matteo Salvini and Luigi di Maio’s „Five Star Movement”, confirms Benoist’s ideas. Another philosopher that subscribes to this line of thinking is Aleksandr Dugin, who wrote a series of important texts on the new wave spreading over European politics. Finally, with the election of Trump and with the intentions of Bannon, us Europeans can give up on the cliche idea that globalism is purely an American product. 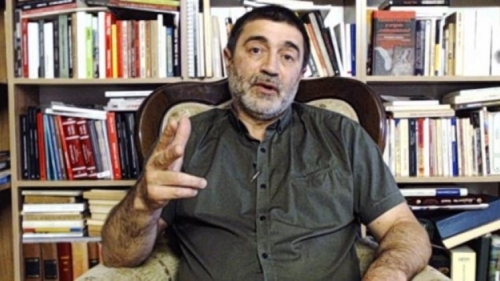 The French essayist and economist Hervé Juvin stresses on a very important thesis that helps understand the phenomenons that have taken place in the last decades: just how the Russian people were the first victims of Communism, so the American people are the first victims of globalism, also called extraterritorial, imperialistic and devastating capitalism. It is worth adding that the majority of the globalist oligarchy is based in the USA, but act against the state and the American people. 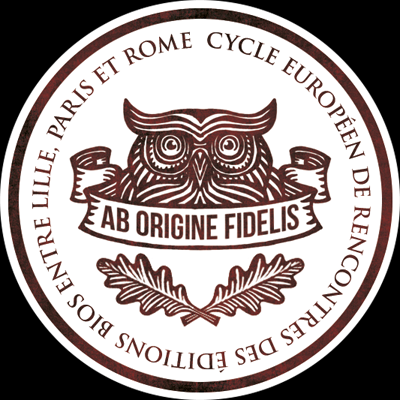 Therefore, the non-profit that is about to be launched declares that its first immediate task is the fortification of anti-system populist parties in time for the European Parliamentary elections in May 2019, as well as helping them in some local elections. The expertise and consultancy services offered by the foundation can have a crucial role in the upcoming electoral confrontations. 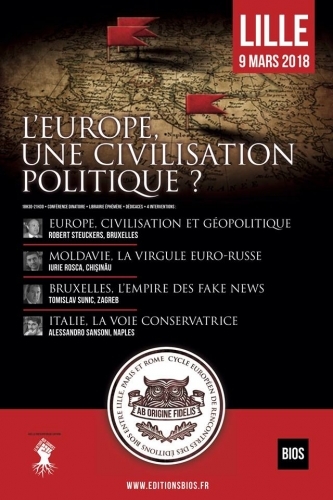 And if Steve Bannon openly declares that he wants his organization to be a rival of the „Davos group”, meaning the global plutocratic establishment, my friend from France, Emmanuel Leroy, preceding the idea of the American strategist, proposed a formula that goes extremely well both with the initiative launched last year in the Moldovan capital, as well as with that of Bannon. On the occasion of the two international conferences in Chișinău held in 2017 that brought together intellectuals from the ex-communist countries and Western Europe, he said that the Chișinău Forum must become a true anti-Davos. Created by three organizations, the Popular University of Moldova, the Eurasianist Movement of Russia, lead by Aleksandr Dugin and the Jean Parvulesco Committee of France, The Chișinău Forum has become a true international think-tank that will meet at least once a year to elaborate alternative strategies of geopolitical, ideological and economic nature. After more than two years, our network has extended all the way to Iran and Africa, has managed to develop a strong media cooperation and participate in important international events. In this context, as the main organizer of the Chișinău Forum, I am almost certain that I will have the support of my colleagues from abroad when coming with the proposition of initiating a strong collaboration with Steve Bannon’s new organization. Our media resources, www.flux.md and www.altermedia.md (Moldova), www.geopolitica.ru (Russia), www.tvlibertes.com, www.lesakerfrancophone.fr, www.egaliteetreconciliation.fr (France), www.zuerst.de (Germany), www.gandeste.org, www.estica.eu (Romania), www.geopolitika.rs (Serbia), as well as a series of other press structures that we collaborate with represent an excellent opportunity for promoting our ideas and for mutual support. The capital of Moldova, Chișinău, is an excellent place for our international meetings due to its geographical position and to the fact that citizens from the EU, the US, Canada, Russia and the other ex-Soviet states do not need visas. Our team has acquired great experience in organizing succesful events and in maintaining strong contact with our partners. This experience must be used to bring substantial contributions to the demolition of the current dominant system of the global plutocracy, to the rebuilding of nation-states and the rebalancing of international affairs that favor the interest of every people. We, the peoples from the ex-Communist region, have gained valuable experience from our participation in the dismantling of the former totalitarian regime. Three decades ago, none of us knew that the time will come when we will have to create a new „triumph of nations”, to achieve a new decolonization of captive peoples that became victims of the global corporatocracy, which de-sovereignized all countries, producing great economic and social unbalances. And the same way that the end of the USSR was possible, so is the end of the new totalitarian mini-empire of the EU urgently needed, which the Hungarian prime minister Viktor Orban rightly called the most corrupt in the world, massively penetrated by the tentacles of George Soros. After the election of Donald Trump, a sort of duality of power has been installed in the US: on one hand, a populist president that guides himself by the „America First!” principle, and on the other hand the „deep state”, which sacrifices national interests for the accumulation of huge profits. Steve Bannon is coming with a message that is embraced by any partiot. Every people, every authentic political elite should follow exactly this principle: „My country first before anything!”. We have a common war for the preservation of our traditions, cultures and religions, for the protection of national economies in the face of the globalist capitalist aggression, for the refusal of our countries to be invaded by the waves of illegal migrants and to flood their countries with the sharks of speculative capitalism. The denouement of this major historical confruntation depends on our solidarity. I invite all friends from our international network to give their opinion on the idea of the active participation of the Chișinău Forum members in supporting and extending Steve Bannon’s organization – The Movement. Your reactions will be published on our media resources in different languages. Populists of all countries, unite! Valérie Bugault, docteur en droit, France. "La plume étant ma meilleure arme, la plus efficace, c’est par elle que je viendrai te soutenir. Jusqu’à il y a peu, j’ignorais et ton nom et le lieu de situation exact de ton pays, la Moldavie ; petit pays par sa superficie mais grand pays par sa position géographique et par sa culture, à la croisée des chemins de l’Est et de l’Ouest, avec le christianisme comme point de jonction. Je t’ai découvert, dans le même temps que je découvrais la Moldavie et son courageux président Igor Dodon à l’occasion de ton invitation au 2ème colloque de Chisinau à l’hiver dernier. Ce fut un moment inoubliable où des intervenants, issus d’une grande variété de pays européens, a pu, collectivement, évoquer des pistes intellectuelles de refondation de la civilisation occidentale, elle-même en voie de disparition rapide autant que radicale. Disparition due au reniement par ses dirigeants politiques des valeurs qui avaient fait la grandeur des différents pays européens. Ces valeurs étaient la résultante directe de la longue histoire de ce continent, des aléas de l’organisation politique de ses différents pays et de son arme politique ultime qu’était le droit continental. Les différents pays d’Europe n’ont à vrai dire guère plus en commun qu’une culture fondée sur le christianisme et qu’un système juridique, dit continental, lui-même extrêmement imprégné de droit romain, droit dont la philosophie profonde consiste à organiser la vie en commun. Si cet héritage peut sembler modeste, il est en réalité unique et immense par la promesse de renouveau civilisationnel qu’il contient. Ton accueil, mon cher Iurie, à l’occasion du second colloque de Chisinau consacré aux questions économiques, fut incroyablement chaleureux, à la hauteur, à vrai dire de ton enthousiasme pour sortir la Moldavie du mauvais pas dans lequel son adhésion à l’Union Européenne et à l’OTAN l’entrainerait inéluctablement, en créant de grandes difficultés relationnelles avec la Russie, son voisin géographique immédiat, son partenaire commercial naturel incontournable et son cousin spirituel. C’est avec une grande tristesse que j’ai appris les ennuis judiciaires qui t’accablent aujourd’hui. Sans connaître réellement les tenants et aboutissants juridiques de ton dossier, on ne peut que s’étonner du rebondissement judiciaire, presque dix ans après les faits reprochés, d’une affaire qui, si j’ai bien compris, ne semble pas réellement étayée quant aux faits reprochés. L’étonnement est d’autant plus légitime que la peine encourue est extrêmement sévère (plusieurs années de prison) et que cette menace judiciaire intervient quelques mois avant les élections législatives en Moldavie. Sans anticiper les résultats de cette élection, il semble que le parti pro Union Européenne au pouvoir en Moldavie, que tu combats avec acharnement et détermination, pourrait se trouver en situation de perdre la majorité qu’il détient actuellement. Ces élections sont-elles la réelle cause de tes ennuis judiciaires ou y sont-elles étrangères ? S’il ne m’est pas possible de répondre à cette question, il reste que ton incarcération porterait un coup très dur à toute voix dissidente en Moldavie, dans le même temps qu’il porterait un coup très dur à la liberté d’opinion et d’expression indispensables au pluralisme qui a fait la grandeur du continent européen. C’est au titre de la liberté d’expression que je prends donc ma plume pour défendre ta cause, mon cher Iurie. Puissent le, ou les, procureur(s) qui s’occupe(nt) de ton dossier judiciaire, entendre la voix de la raison et permettre à la liberté d’expression d’exister, c’est-à-dire de rester libre…"
Au cours de l’année passée, vous nous avez fait l’honneur de nous accueillir à deux reprises dans votre capitale pour la tenue des deux colloques que nous avons organisés avec mon ami Iurie Rosca. Le symposium du mois de décembre à Chisinau où vous avez fait une intervention remarquable pour introduire nos travaux, a été repris sur des dizaines de médias européens pour souligner le caractère historique de cette manifestation. L’importance de ce colloque a été remarquée par des ONG internationales, notamment celles qui visent à faire disparaître l’Europe sous des vagues migratoires, et qui n’ont pas manqué de critiquer ce colloque qu’elles ont perçu comme un réel danger visant à la libération des peuples européens contre les dérives de la mondialisation financière, comme vous l’avez parfaitement souligné dans votre discours. Aujourd’hui, mon ami Iurie Rosca, homme intègre et honnête s’il en fut, est accusé ignominieusement de trafic d’influence. Vous comme moi, nous connaissons Iurie Rosca et nous savons qu’il est incapable d’une telle bassesse. Nous savons qu’il est tout comme vous, un vrai patriote, profondément attaché à la liberté de la Moldavie — ce dont témoigne tout son passé de dissident, d’homme politique et de journaliste. C’est pourquoi Monsieur le Président, je me rendrai à Chisinau le mois prochain avec une délégation d’amis français afin de solliciter une audience auprès de vous et en vous demandant de tout mettre en oeuvre pour protéger notre ami de ces manoeuvres de basse politique qui ne visent qu’à un seul but: éliminer un homme qui est écouté dans votre pays et cela afin de tenter d’influencer le résultat des élections législatives de l’automne prochain. Partout en Europe aujourd’hui, les peuples commencent lentement à se libérer des chaines de la mondialisation financière, il serait paradoxal et vraiment dommageable que la Moldavie soit le seul pays européen qui régresse en soutenant la cause d’une Union européenne à bout de souffle qui montre à travers la crise des migrants qu’elle n’est plus capable d’apporter des réponses aux peuples qui veulent une autre politique. Cette autre politique, Monsieur le Président, c’est vous qui l’incarnez aujourd’hui avec le Président hongrois, le Premier Ministre italien, le Chancelier autrichien et demain encore d’autres, portés par l’immense vague des peuples européens qui ne veulent pas mourir. lurie Rosca est un de ces grands patriotes qui lutte non seulement pour la Moldavie mais aussi pour tous les peuples du continent eurasiatique afin qu’ils échappent à la spirale mortifère dans laquelle l’Occident est tombé. Je compte sur votre appui Monsieur le Président pour nous aider dans cette démarche qui honorera votre pays. Je vous prie d’agréer Monsieur le Président, l’expression de ma très haute consideration. Message de "Synergies Européennes": Iurie Rosca, homme politique moldave, s'oppose à l'inféodation de son pays à la sphère atlantiste et souhaite une neutralité dans le conflit qui oppose, de manière particulièrement stérile, l'OTAN (et les Etats-Unis) à la Russie dans la région pontique et ailleurs dans le monde. Le parlement moldave vient, à l'encontre de l'avis de son président Igor Dodon, d'adhérer aux organisations atlantistes. Du même coup, une campagne a été immédiatement orchestrée contre les opposants à cette inféodation par une brochette de magistrats mercenaires et stipendiés. Iurie Rosca en est la première victime. Notre soutien à ses initiatives est d'autant plus cohérent que Dodon et Rosca s'opposent courageusement aux manipulations venues de Davos et voulaient faire de Chisinau, capitale de la Moldavie, le site d'où se serait cristallisé un anti-Davos, où les fers de lance des idéologies opposées au néolibéralisme auraient affûté leurs arguments. Donc, pas de tergiversations, soutien total à Iurie Rosca dans la persécution inique qu'il subit. Soutien total au Président Dodon et aux initiatives de Chisinau ! Je souhaite, par la présente déclaration, informer l’opinion publique du fait que je fais l’objet de poursuites pénales à l’initiative du Parquet Anti-corruption, en vertu d’une dénonciation forgée sur commande de ceux que je dérange, par le délateur de service auprès des organes de répression. Ainsi, le 28 février au matin, la maison où se trouve le siège de mon activité a fait l’objet d’une descente de neufs procureurs et officiers du Parquet Anti-corruption, nantis d’un mandat de perquisition. On a porté à ma connaissance le fait que je suis soupçonné de trafic d’influence. J’ai d’abord cru qu’il s’agissait d’un malentendu. Il s’ensuivit une perquisition digne des meilleurs films du genre. Je leur ai demandé ce qu’ils cherchaient, dans l’espoir de réussir à les aider. On m’a répondu : « l’argent, les écrits, les ordinateurs et tout autre support électronique de stockage d’information. » Quinze articles ont été confisqués : les ordinateurs (y compris les ordinateurs de mes collègues), ma mémoire externe contenant ma bibliothèque électronique, mon téléphone portable, mes carnets, manuscrits, feuillets avec prises de notes, etc. Au cours de la même matinée, on m’a fait savoir que j’étais mis en examen, et, l’après-midi venue, le procureur Mihail Ivanov a porté à ma connaissance le fait que j’étais déjà inculpé, et m’a signifié une interdiction de quitter le territoire moldave valable pour une durée de 30 jours. En consultant les documents mis à disposition par l’organe en charge des poursuites pénales, j’ai appris que le dossier me concernant a été ouvert le 21 mars 2017. Cependant, la procédure obligerait normalement le parquet à informer la personne mise en examen du lancement de poursuites pénales dans un délai de 30 jours à compter de l’ouverture du dossier ; c’est probablement pour se soustraire à cette obligation que les enquêteurs ont choisi de lancer les poursuites « suite à délit », c’est-à-dire en conséquence d’une infraction commise. C’est ce qui a permis de justifier – aussi étrange que cela paraisse pour un dossier dans lequel il existe un seul coupable putatif et un dénonciateur, donc deux personnages en tout et pour tout – la mise en œuvre de mesures supplémentaires d’enquête opérative en vue d’identifier l’auteur du délit. Dans ces conditions, je suppose que « la justice » a eu tout loisir de m’observer à son gré tout au long d’une période de huit mois, en mettant tout son arsenal d’instruments de surveillance au service de cette mission. Et ce n’est que le 28 novembre 2017 que le procureur-chef du Parquet Anticorruption, Viorel Morari, a émis une ordonnance m’assignant le statut de suspect (mis en examen), et formant une équipe d’enquête composée de 15 (quinze !) procureurs et officiers de police judiciaire chargés de mon cas. S’ensuivirent des actions de filage, d’écoute de mes conversations téléphoniques et d’interception de ma correspondance. Pour obtenir des prolongations de leur droit d’utilisation de procédés d’enquête spéciaux (utilisation que la loi ne permet que pour une durée maximale de 30 jours), les procureurs ont à deux reprises obtenu l’aval des juges d’instruction, qui leur ont accordé deux renouvellements successifs de leur autorisation de poursuivre leurs filages leurs interceptions. C’est ainsi qu’ils ont atteint le terme de la durée d’enquête maximale autorisée sans notification du suspect. C’est ce qui explique la descente de l’équipe d’enquête qui a eu lieu le 28 février 2018, soit exactement trois mois après l’ouverture de l’enquête pénale portant sur le soussigné en sa qualité de suspect. S’ensuivirent encore trois mois d’enquête pénale, ponctués de visites à répétition au Parquet Anticorruption. Sur le fond, on m’accuse d’avoir demandé et obtenu « à des fins délictueuses » une somme d’argent « d’un montant particulièrement élevé », versée par un individu dont le but aurait été d’influencer une décision de justice en 2009. Je n’entrerai pas ici dans les détails, qui seront exposés lors des audiences du procès, dont j’espère qu’elles seront publiques. Mais j’affirme d’ores et déjà, sans aucun risque de péché contre la vérité, que ce dossier est cousu de fil blanc, et que l’intention qu’on y renifle est celle de faire taire un homme qui gêne le gouvernement actuel. Vendredi dernier, 25 mai, j’ai été convoqué chez le procureur Mihail Ivanov, pour y contresigner une quatrième interdiction de quitter le territoire. Aujourd’hui, le 31 mai, le procureur a terminé l’enquête et a présenté l’accusation. Dans quelques semaines la première audience du tribunal aura lieu. Les faits qu’on me reproche auraient eu lieu en 2009, à une époque où j’avais déjà perdu mon mandat électif et toute fonction officielle, n’étant plus ni député, ni vice-premier ministre, mais un simple demandeur d’emploi sans aucune influence sur la marche de l’Etat. Le gouvernement était déjà dans les mains de ceux que j’avais sévèrement critiqués pour leur tentative de coup d’Etat du 7 avril 2009. Pourquoi cette plainte au pénal a-t-elle attendu 2017 pour remonter à la surface ? Pourquoi l’individu en question n’a-t-il pas cherché plutôt à ce que justice lui soit rendue ? Les points d’interrogation s’ajoutent aux points d’interrogation. Je rappelle à tous ceux qui me lisent que j’ai été et reste un critique inflexible du régime actuel, que j’estime illégitime, abusif et dangereux pour nos intérêts nationaux. Il est de notoriété publique que notre pays se trouve en situation d’usurpation du pouvoir de l’Etat. J’ai publié, et continue à publier en permanence des articles en roumain, en russe, en anglais et en français, dans notre presse comme dans la presse étrangère, contenant de dures critiques à l’encontre du gouvernement actuel. J’organise des émissions télévisées et publie sur Internet des podcasts qui ne plaisent pas au pouvoir actuel. J’ai publié et continue à publier des livres qui ne correspondent pas à l’idéologie officielle des milieux au sommet de l’Etat. J’ai été l’initiateur et l’organisateur principal du Forum de Chișinău, une plateforme de débat dotée d’une visibilité internationale, à laquelle participent des dizaines d’intellectuels venus de toutes les régions du continent. Je suis journaliste, éditeur et traducteur, et milite pour les valeurs du conservatisme, de la tradition et de l’orthodoxie. J’ai derrière moi une longue carrière politique. Je n’ai jamais cherché à éviter les confrontations publiques avec les grands du moment. Cette fois non plus, je n’ai aucune intention de renoncer à ma verticalité, et je ne vais pas abandonner mes convictions. Je précise que pendant la période de l’enquête au cours de laquelle j’ai été soumis à interdiction de quitter le territoire, le procureur Mihail Ivanov m’a empêché de participer à un certain nombre de conférences internationales où j’aurais dû prendre la parole. Je pourrais donc en conclure que cette mesure a été prise dans le but de neutraliser le volet international de mon activité. Si je devais, cependant, être condamné et incarcéré, je n’ai aucune intention de renoncer à mes convictions, ni de courber l’échine devant les potentats actuels, qui jubilent probablement en ce moment, à l’idée qu’ils se sont débarrassé d’un incommode de plus. Ce que j’ai dit jusqu’à présent, je continuerai à le dire et à l’écrire en toutes circonstances. Réjouissez-vous, vous qui voulez ma perte et qui comptez mes jours ! Celui que vous détestez est conduit vers une exécution publique, vers l’humiliation, les sarcasmes et les huées de tous les valets et de tous les imposteurs. Mais veillez à ne pas vous réjouir trop tôt. Il y a loin de la coupe aux lèvres. Et rira bien qui rira le dernier. Le Comité Jean Parvulesco, réunissant autour de l’œuvre philosophique, littéraire et politique de Jean Parvulesco, des intellectuels d’Europe occidentale et des anciens pays du bloc communiste, est profondément préoccupé par la persécution déchaînée contre le journaliste, traducteur et éditeur Iurie Rosca. Les accusations fondées sur une présomption de trafic d’influence portée par le Parquet, contre cet intellectuel de renom, semblent être inspirés par des raisons d’ordre essentiellement politique visant à la suppression d’une personnalité particulièrement incommode pour le gouvernement actuel. Nous connaissons Iurie Rosca en tant qu’organisateur principal du Forum de Chisinau, une plate-forme qui réunit des penseurs, des géopolitologues, des économistes, des écrivains et des journalistes de toute l’Europe tant occidentale qu’orientale et même d’autres continents. Son activité au niveau international et ses interventions brillantes lors de conférences académiques l’ont distingué comme un digne représentant de son peuple et son prestige intellectuel est reconnu et apprécié dans toutes les grandes capitales européennes. Pour cette raison, et par grand respect de sa valeur intellectuelle et morale, les représentants d’élite intellectuelle de différents pays expriment par cette lettre ouverte leur solidarité ferme et entière avec lui et demande avec insistance aux autorités moldaves du cesser toute persécution contre Iurie Rosca. L’année dernière, notre forum a été honoré de votre présence comme invité d’honneur, et votre discours axé sur l’idée de l’indépendance économique de la Moldavie a été chaleureusement accueilli. Les délégués et les membres associées de notre comité vous respectent et vous apprécient en tant que vrai patriote et leader national. Monsieur le Président, pour toutes ces raisons, nous vous demandons instamment d’intervenir auprès des autorités politiques et judiciaires de la Moldova pour qu’elles renoncent à la répression de notre ami Iurie Rosca. Votre autorité peut avoir une influence décisive dans cette affaire. Sans commettre d’ingérence dans la justice, vous avez le droit de demander aux autorités judiciaires de ne pas admettre des abus ou des illégalités, et se laisser guider uniquement par les principes de l’état de droit dans le respect de la légalité et de l’intégrité professionnelle. Veuillez agréer votre Excellence nos salutations les plus distinguées. Soutien à Iurie Rosca ! Laurent James, écrivain et physicien français, soutient Iurie Rosca ! 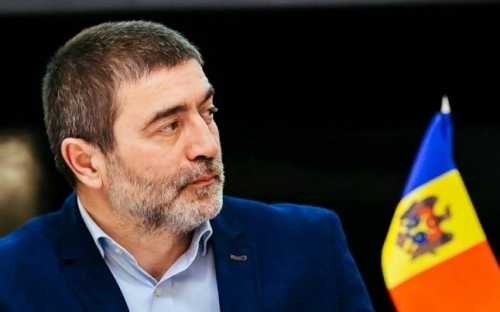 Iurie Rosca : Chisinau, capitale des "anti-système"
Ancien vice-premier ministre de Moldavie, Iurie Rosca, a organisé une série de conférences sur l’Eurasie et sur les alternatives au capitalisme financier. Il a choisi la capitale de son pays, Chișinău, pour installer une forme d’anti-Davos. Une ambition qui prend forme dans ce pays neutre “bloqué” entre la Roumanie et la Russie. L’Europe de l’Est bouge et envoie des messages à l’Europe de l’Ouest. Iurie Rosca les évoque comme observateur et acteur.